Whether you’re staying with us in the hotel, a member of the country club or even just visiting, Michael’s Bar & Bistro at Parklands is the place to be this Easter for delicious meals, quick bites, catch-ups with friends, afternoon drinks or family celebrations. We serve a fantastic variety of food, drinks and coffees in a family-friendly environment. No matter what time of day you choose to visit us, we guarantee a comfortable, relaxing and satisfying dining experience that will make your Bank Holiday weekend even more special! One of the highlights of being a guest at Parklands Hotel is enjoying a delicious breakfast from Michael’s Bistro. We have both continental and full-cooked breakfast options available. 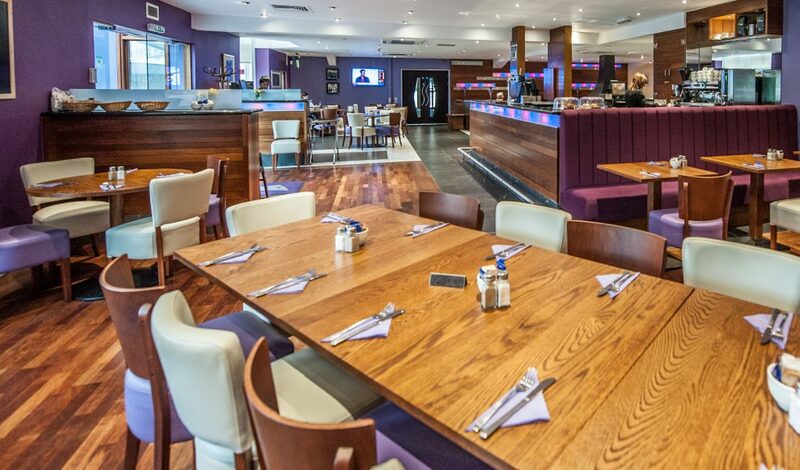 Whether you’re out and about during the day or unwinding in our leisure facilities, Michael’s is the perfect place for lunch, light bites or an afternoon coffee. Our lunch menu offers cold & toasted sandwiches, baked potatoes and salads, all with a wide selection of fillings and toppings; ideal or refuelling after a swim in our pristine pool! Michael’s Bar & Bistro has a fantastic a la carte menu for evening dining, as well as a set menu. You’ll find a range of delicious appetisers, mains, sides and desserts on offer, featuring everything from traditional classics like Fish & Chips and Balmoral Chicken to a variety of pizzas and pastas. Whether you’re in the mood for risotto, a steak from our grill or one of our vegetarian options, there’s sure to be a dish for everyone. After dinner, why not sit back and enjoy a drink in our bar! We have a wide selection of beers, wines, and spirits in stock, as well as a fantastic cocktail menu if you’re feeling stylish and in the mood for something different. If you’re thinking about booking for a large number on Easter Sunday, be sure to get in touch with us to reserve a table soon. We hope that you all have a wonderful break over the Easter weekend; we’re certainly looking forward to it!